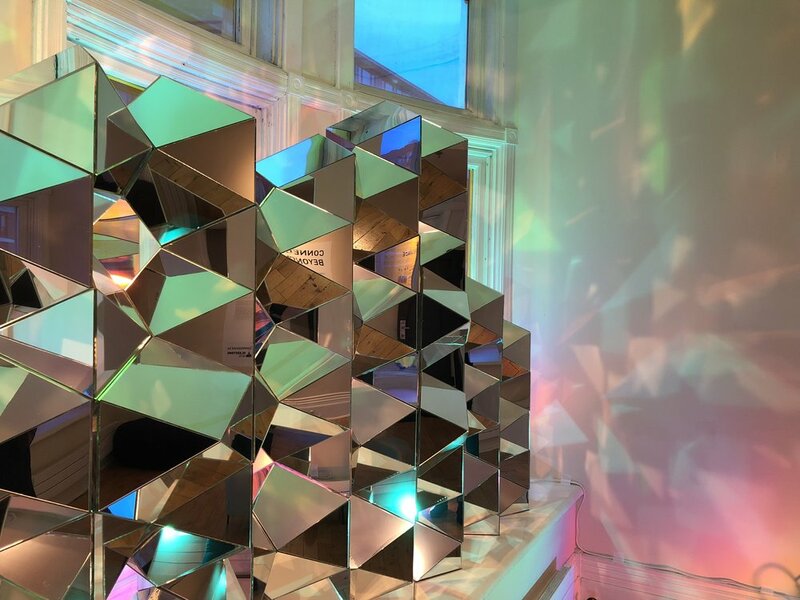 New for Gladstone Hotel this year, the launch of a permanent installation by BEAT Executive Member Safoura Zahedi, entitled 'Connect', that will be active for one year. The immersive installation will exhibit during Come Upto My Room and then transform into an artist designed meeting room available for private bookings. 'Connect', is part of an independent experimental design series entitled 'Beyond the Surface', exploring geometry and its potential as a contemporary universal design language. These explorations use two-dimensional geometry to create three-dimensional spatial experiences through principles of fractal geometry. 'Connect' unites the subtle and meaningful order of our universe by reflecting the unseen. The design series seeks to reflect the universal language of Unity as derived from multiplicity, and transport the viewer from immersion in the mundane to serene contemplation. Safoura Zahedi is a Toronto-based architectural designer whose work explores geometry through a process of merging traditional analogue design methods with contemporary digital technology and fabrication.